At SXSW Interactive earlier this month, I announced the $10 million ANA Avatar XPRIZE, which challenges teams to build and demonstrate a multipurpose robotic avatar system that allows an untrained user to transport their senses and actions over a distance of 100 kilometers or more. It’s about transporting your human skills and experience to a remote location. The possibilities of such a system are endless. Imagine a near future in which skilled individuals can offer their services, from a distance in mere moments. A future where the world’s best surgeons and first responders would be able to beam in and interact with patients within minutes — not hours, days or weeks. And the multitude of scenarios where transporting yourself as a robot would be far superior to your fragile flesh-and-blood body. The ANA Avatar XPRIZE will help bridge distance, time and culture. The sponsor of this amazing XPRIZE, one of my favorites, is an airline: All Nippon Airways (ANA). While ANA (the largest airline in Japan with 260 aircraft) is an innovative company – the proud launch customer and the biggest operator of the Boeing 787 Dreamliner – the fact that they asked the question, “What type of technology might ultimately disrupt us?” and agreed to provide $22 million in funding to launch this new industry is quite unusual. Few other companies take this critical step during these exponential times. I am so impressed, and honored to work with the visionary ANA leadership. 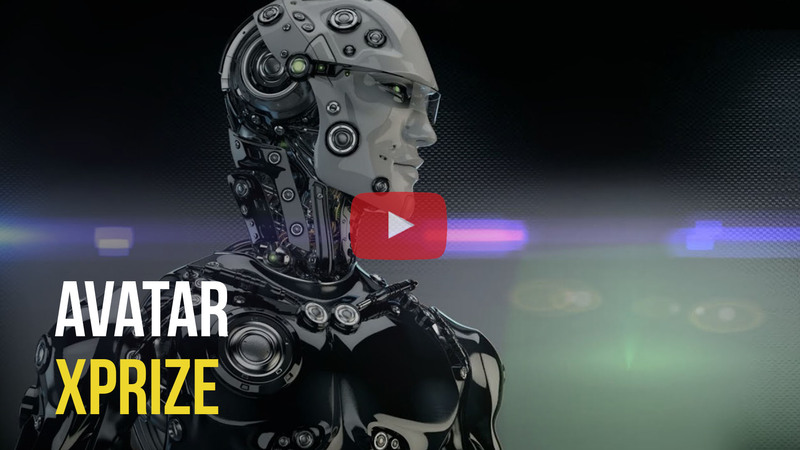 The concept of a “Robotic Avatar” XPRIZE was proposed and created by my dear friend Dr. Harry Kloor, who served as the “bold innovator” during the 2016 XPRIZE Visioneers Summit. Harry, who’s been with me on many of my entrepreneurial adventures since the late 1980’s and the International Space University, suggested that empowering humanity with the ability to move instantly anywhere by shifting our awareness-consciousness and physical actions into humanoid robots would serve as an inspiring XPRIZE. Today, exponential technologies are enabling us to materialize ideas that were once the stuff of science fiction novels. I’m grateful for ANA’s boldness in supporting this XPRIZE and creating an audacious alternative to air travel. Here’s a fantastic 2 minute video that summarizes the competition. Enjoy! Visit our competition website here: https://avatar.xprize.org. Consider registering to create a prize (there’s no obligation, other than indicating your interest). The world is getting more and more exciting every year.